The IMPUL NS-01R Wheels are light weight JDM Wheels specifically for Nissan Vehicles. The IMPUL NS-01R Wheels are one piece forged jdm wheels which were initially made in two sizes 17×7.5 +35 and 17×8.5 +38 in 5×114.3. 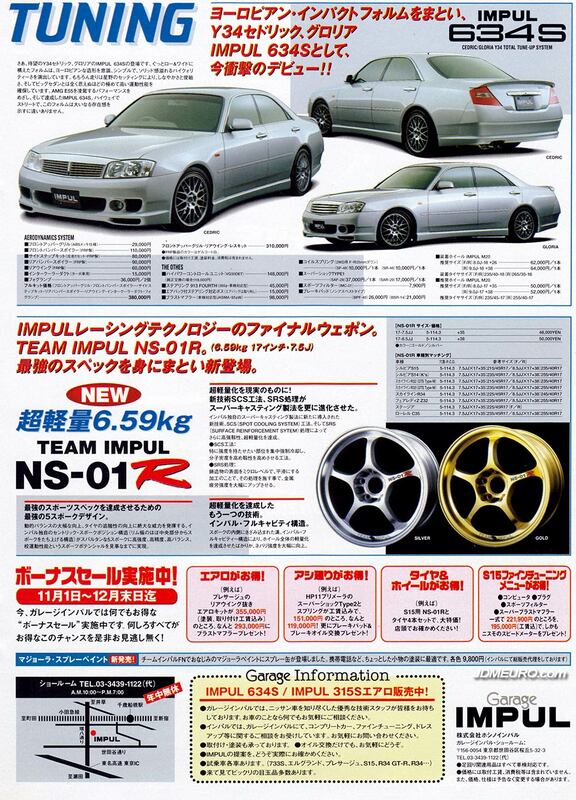 Also pictured is the IMPUL 634S Body Kit for the Y34 Nissan Cedric / Y34 Nissan Gloria on IMPUL M20 Wheels.